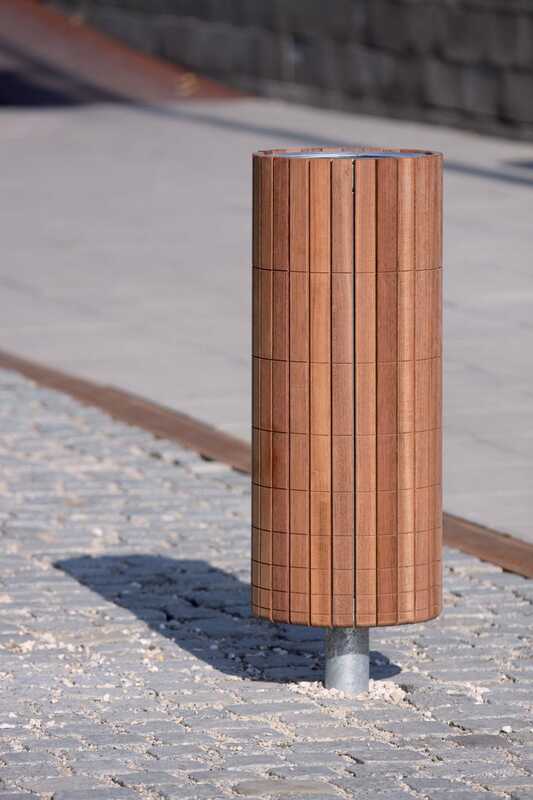 Public trash can / stainless steel / galvanized steel / wooden - NANUK by David Karásek & Radek Hegmon - mmcité 1 a.s.
Public spaces > Urban furniture > Public trash can > mmcité 1 a.s.
NANUK by David Karásek & Radek Hegmon mmcité 1 a.s. 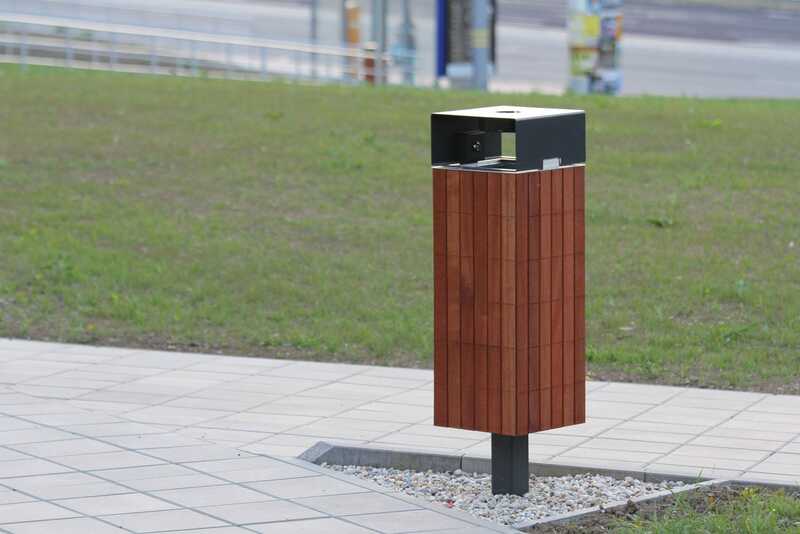 Formally extremely sparing, structurally simple, materially diverse an example of smart design that delivers one of the widest ranges of litter bins with a fresh, attractive appearance. Cylinder and cuboid, two basic geometric shapes situated on a central leg with several types of cladding for truly universal usage. 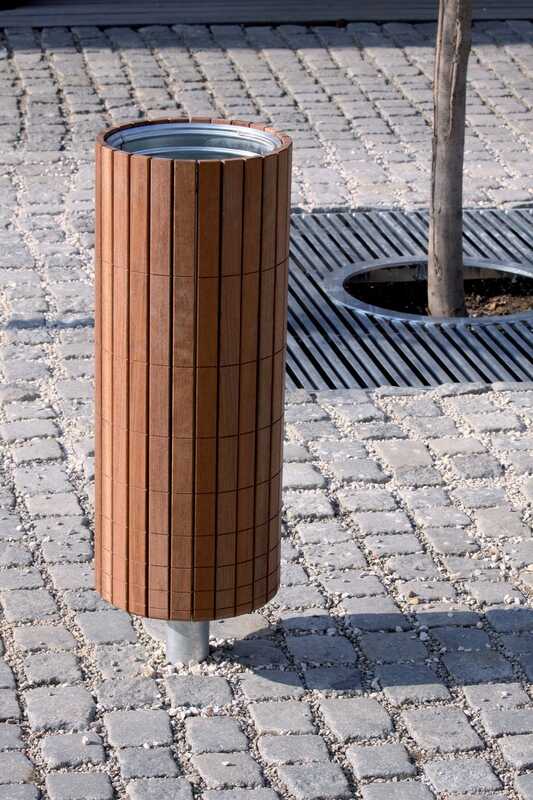 A cylinder with pleasant-looking wooden siding, the block additionally including bent reinforced steel sheet, transparent steel lathing, or interior-smooth high pressure laminate (HPL). Cuboid versions may also be fitted with an elegant canopy. 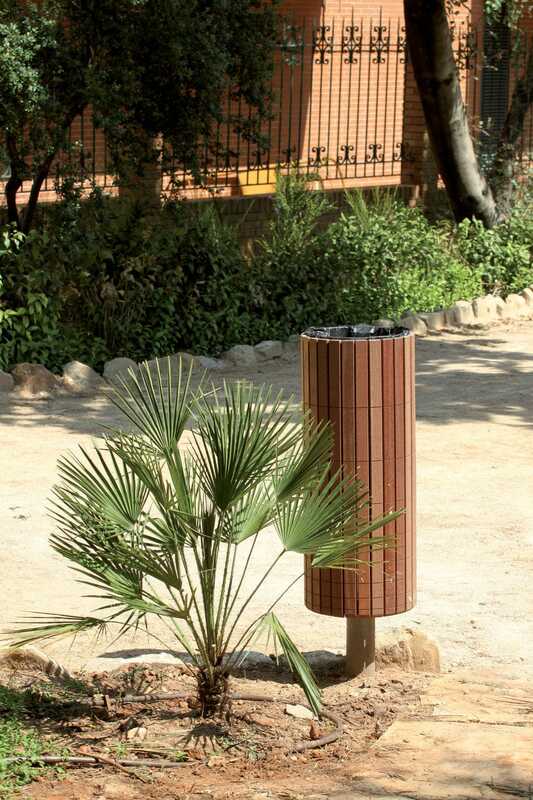 The unified galvanized steel frame sprayed with powder baked coating carries a sheathing which consists of grooved wooden siding, galvanized steel sheet, stainless steel sheet, or galvanized steel lathing. All steel parts are coated with powder paint finish. Another option is a sheathing of high-pressure laminate.